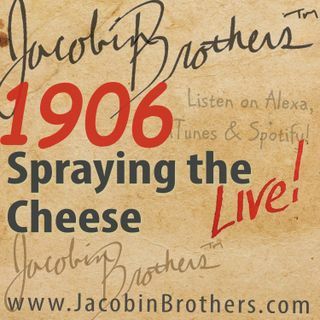 JBL1906 / Spraying the Cheese | Jacobin Brothers™ Live! Cheese predates history, written language, and anesthetized appendectomies. Learn the dirty little secret cheese has been hiding for 10,000 years on "Spraying the Cheese".